In part one of Beyond the Lipid Hypothesis, I covered the general process of plaque development, from the appearance of endogenous and exogenous pathogens, all the way up to plaque rupture and artery blockage. I studied this to truly examine the mechanisms and development of these fatty streaks and lesions that I had heard about growing up. Not to find root causes, as I had seen detailed in-depth by others (such as Ivor Cummins) over the past year, but to look at the tiniest pieces of the machine that make up atherosclerosis and truly understand how they fit together. I had often heard about “foam cell formation” and “cholesterol in the arteries” but the explanations of why and, perhaps most interestingly, how this happens often left me in doubt or only with a vague understanding of how it allegedly works. As I continued to study foam cell formation and gained a greater understanding of the pathways for their development, I became increasingly curious as to the actual particles that contributed to foam cell formation, and the worsening of atherosclerosis. Based on the textbooks I had read and research I had done already, I knew that at least one type of “modified LDL” existed: oxidized LDL (oxLDL). However, I wasn’t quite sure why the LDL particles become oxidized. One of the earlier hypotheses I had heard was that LDL somehow becomes lodged in the arterial wall and becomes oxidized as a consequence of exposure to the natural “environment” of the bloodstream. The theory proposes a similar, passive mechanism as leaving a shovel out in the yard resulting in rust to form. This example is easy to imagine and easy to understand given we’ve all left things out where the natural elements could get to them and cause problems. We don’t blame the environment, we blame ourselves for forgetting to bring it inside. However, as explained in part one, what I found seemed to suggest the opposite sequence of events, namely oxidation of LDL occurs in circulation first and only afterward is it taken into the artery wall. What causes this to happen was still unclear to me up to this point. So to learn more about this process, I decided to focus on oxLDL first in the hopes of gaining a better understanding of the immune response involved in atherosclerosis as a whole. What I discovered was that LDL can be oxidized in a wide variety of ways, and can include oxidation of the phospholipid shell, oxidation of Apolipoprotein B on the LDL particle1, as well as oxidation of the cholesterol and triglycerides inside of it.2 The oxidation of the cholesterol carried by LDL results in the formation of oxysterol which can be found in many atherosclerotic lesions3 and excess accumulation of which contributes to macrophage death4, 5. Which, as explained in Part 1 of this series, is a contributor to plaque destabilization. Frustratingly, I found that oxidized LDL was usually described in terms of how it interacts with different parts of the system, such as the interaction with scavenger receptors and macrophages, rather than how it was actually oxidized. Generally, a study regarding oxLDL uptake was referring to LDL oxidized in laboratory conditions, instead of how it would be oxidized in vivo (in the body). In an attempt to find real-world causes of LDL oxidation, I decided to look more into how LDL could be oxidized under “natural” conditions that may occur in the life of the everyday person. One example of LDL being oxidized in a “real life” situation, outside of laboratory conditions, was exposure to reactive oxygen species and reactive nitrogen species6. 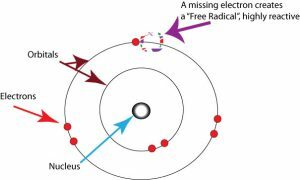 The terms free radical, reactive oxygen species (ROS), and reactive nitrogen species (RNS) refer to entire classes of particles that come in many forms. 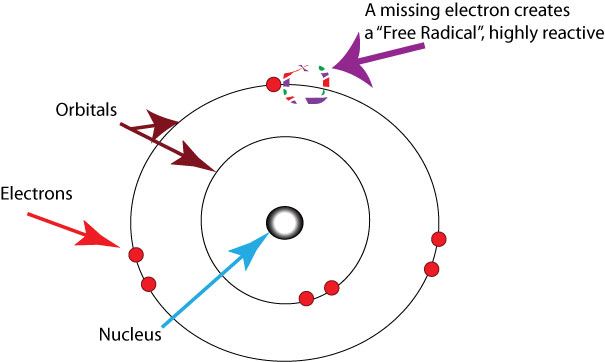 Their key feature is that they have at least one free electron and thus can “steal” an atom from another particle. In the case of lipoprotein oxidation, hydrogen is taken from some of the lipid (fat) that forms the phospholipid shell of the LDL particle.7 The free space left by the stolen hydrogen is then filled by an oxygen molecule on the recipient particle and thus becomes “oxidized”.8 This oxidized LDL is damaged or altered, in such a way that it is no longer recognizable by LDL receptors and thus must be cleared via alternate pathways. Free radicals aren’t solely a villain in their role, however, and can be produced for or from beneficial purposes like cellular signalling mechanisms9, and as a defensive and signalling tool produced by macrophages and other cells in reaction to bacteria and other pathogens10, 11, 12, as well as produced by muscle cells especially during exercise13. Like many things, it appears that it is not the presence of free radicals in itself that is deleterious but rather the overwhelming of normal neutralization methods wherein it becomes dysfunctional and can lead to disease14. Considering the signaling and defense uses, endogenous production of ROS (production in and by the body), may be unavoidable but moderate levels present in normal circumstances appear to be beneficial if not necessary for normal function15. I found that there are many uses for this potentially destructive class of particle, and as is true for most things in the body, it is hard to classify as “good” or “bad”. Rather, these particles must be looked at in the context of their necessary function, as well as the potential unbalancing that can occur within the system. The destruction comes when this unbalancing occurs resulting in a shift towards a free radical dominant environment and depletion of antioxidants which help neutralize reactive oxygen species. This state is called oxidative stress16 and can cause OxLDL17, resulting in foam cell formation and worsening of atherosclerosis if chronic and severe enough, and the death of cells (such as smooth muscle cells in the arteries)18. I also found that infections, both viral19 and bacterial20, can also cause oxidative stress as a result of the production of Reactive Oxygen Species and Reactive Nitrogen Species21, and this too can manifest harmful effects under the right conditions. Not only that, but this damaging effect of chronic or highly acute oxidative stress mediated by infection has been shown to contribute to the development of cardiovascular disease in some animal models22 and the possibility of the same in human in vitro (laboratory settings working with isolated tissue) studies23 and very preliminary data involving infections of chlamydia pneumonia (C. Pneumonia)24 and cytomegalovirus25. The increase in risk in human models may, however, be partially due to the direct contribution of the particle clearance pathways involved in the development of plaque mentioned in Part 1. Among these direct contributions are LOX-1 (a scavenger receptor that recognizes oxLDL and other pathogenic particles) being able to take in C. Pneumoniae, directly26, as well as both enhancing expression of scavenger receptors27, 28, and an increased uptake of oxLDL by macrophages29, 30. Meaning that C. Pneumonia and Cytomegalovirus appears to contribute directly, through the aforementioned mechanisms, as well as peripherally31 (e.g. via oxidative stress, and oxidation of LDL), to the overwhelming of the immune response pathways involved in the development of atherosclerotic plaque. Beyond contributions of oxidation from responses to defense and signaling there also exist outside sources of free radicals that can contribute to oxidative stress inside the body. The most common example I found was smoking32, 33, along with exposure to radiation34, 35 and air pollution36. The mechanistic link between smoking and heart disease had never been clear to me before, until I understood that smoking increases the oxidative stress in the body via free radical introduction, and ultimately increases the amount of damaged LDL in the system that must be cleared. Various other dietary factors also appeared to increase oxidative stress and LDL modification including high intake of Polyunsaturated Fatty Acid (PUFA) such as those found in seed oils37,as well as high refined carbohydrate intake38, 39. Additionally, I found that certain types, or classes, of LDL are more easily oxidized and production of these types increases during an inflammatory response. After digging further, I came across multiple studies referring to an increase in the production of VLDL (the initial stage of LDL)40 during inflammation41, mediated by pro-inflammatory cytokines – signalling molecules that help promote inflammation – in mouse studies42, 43, and emerging evidence for a similar reaction in humans44. This reaction, demonstrated by in vitro mouse studies, results in hypertriglyceridemia(45) (increased levels of triglycerides) which, in other studies, appears to lead to the increase in “small, dense” LDL (sdLDL)46, 47. We can additionally see this same lipoprotein profile in humans with inflammatory conditions as well48, and sdLDL has been demonstrated to be far more prone to modification49, 50. I was quite curious as to the cause of this vulnerability to oxidation, as it did not make sense to me why two different types of LDL would be more or less prone to damage just based on size alone. I found that there appeared to be several factors in this vulnerability, and that it has been speculated that the protein content and structure of the sdLDL may increase the exposure of the polyunsaturated fatty acids that contribute to the structure of its phospholipid shell – increasing sdLDL’s vulnerability to oxidation.51 These structural differences leads to a difference in ‘lag time’ – a term which refers to the amount of time it takes for LDL to deplete of antioxidants before the LDL particle itself is subject to oxidation.52 Not only that, but the PUFA content of this type of LDL is also higher than the “light, fluffy” LDL we typically see that is used for energy transportation throughout the body.53 Clearly the oxidative susceptibility of small dense LDL is not a simple process, but rather a multifactorial one involving many different aspects of the physiological structure and composition of the particle, all appearing to lend itself to quicker donation of antioxidants, and a faster rate and deeper level of oxidative modification to the particle. Beyond oxidated LDL, I found that there was an additional type of modified LDL called glycated LDL54. 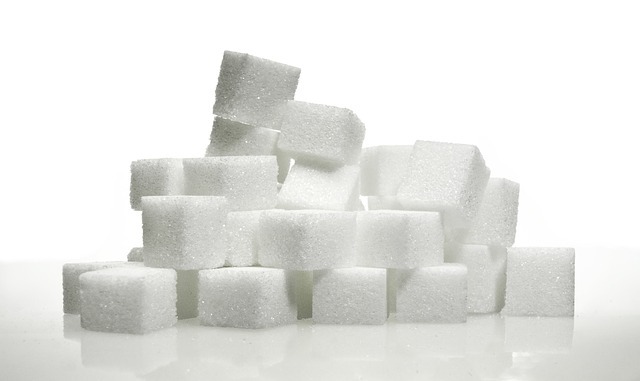 Glycation refers to damage of a particle caused by glucose binding to a protein or lipid molecule on said particle – a sticky candy coating that damages the particle (like LDL or a red blood cell). Before discovering this, I was already familiar with a different type of glycation involving hemoglobin, or red blood cells, which is measured via Hemoglobin A1c (HbA1c). HbA1c can go up in the case of high blood sugar, as seen in cases of advanced diabetes, as does glycation of LDL particles. Some amount of LDL glycation occurs in the healthy system, as is also true of glycation of hemoglobin, but higher levels of glycated LDL may cascade into further problems down the road. Not only is glycated LDL a form of modified LDL which is recognized by scavenger receptors55, but higher levels of this glycated LDL may lead to higher levels of oxidated LDL, as well. According to the research I read on the topic, the process of glucose damaging both apolipoprotein B and the phospholipid shell leaves the LDL particle more at risk of oxidation. This appears to be due to this modification crippling the usage of antioxidants, like vitamin E, in the LDL particle during this so-called “glycation phase”. As a result, this shortens the lag time in the particle and speeds up the accumulation of damage from oxidation56. This creates not only a glycated LDL particle, but a glycoxidized one yet again resulting in increased dependence on clearance pathways previously discussed – contributing to an overwhelming of clearance mechanisms and detrimental development of atherosclerosis over time if the cause of the damage is chronic. It became evident that there are two major factors to the level of oxidation of LDL that contribute to this chronic “high alert” of damage and inflammation. Perhaps the most obvious factor is a source of oxidation. In order for LDL to become oxidized, there must first be an increase in oxidative particles (Reactive Oxygen Species, for example) severe (or chronic) enough to deplete the system of available antioxidants within the body (e.g. oxidative stress). LDL normally carry fat soluble vitamins as part of their “cargo” and if they come across reactive oxygen species, they can use these antioxidants to safely neutralize them and get away unscathed. The depletion of the antioxidants carried by LDL (this can be thought of as LDL running out of ammo) is what causes the lag time between oxidative agents being introduced, and LDL actually becoming oxidized and damaged. Thus, in order for there to be wide-scale oxidation of LDL, there must also be a wide-scale presence of oxidative stress as well, if the logic holds. The source of this oxidative stress can come from many different sources, only a few of which are covered by this post. If one wants to understand what increases the formation of foam cells (which also worsens atherosclerosis along the way) over the course of years, one must look at the type of LDL particles that contribute to them (modified LDL) and what causes the modification of LDL in the first place. Very quickly I learned that the topic of LDL oxidation, and modification, is a deeply complicated one. This post, by no means, covers all factors of LDL modification but at the very least I began to better understand it. I began to notice that the more chronic sources of oxLDL tended to mirror Ivor Cummins graph of contributing factors to chronic disease. 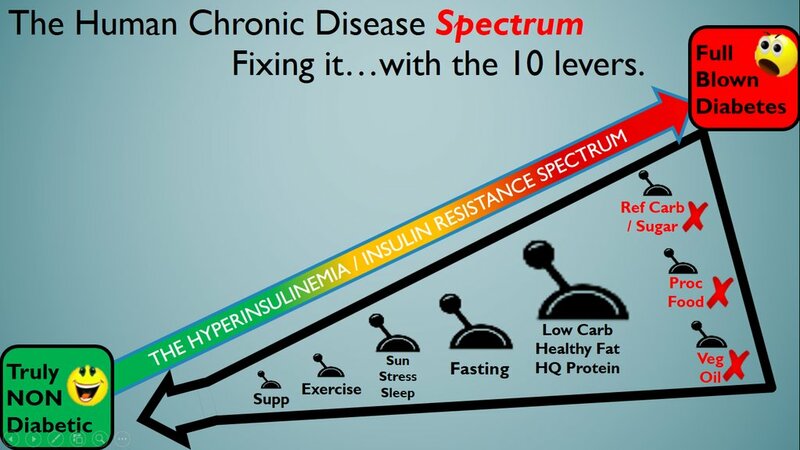 This does seem to point to shared mechanisms, and shared root causes, of heart disease and insulin resistance as he has suggested previously. The role of insulin in heart disease is where I will explore next, in part 3 of Beyond the Lipid Hypothesis to see what hints lie in insulin’s contribution to the disease on a mechanistic level. 7Aruoma, Okezie I. Free Radicals, Oxidative Stress, and Antioxidants in Human Health and Disease. Journal of the American Oil Chemists’ Society, Feb. 1998, doi:10.1007/s11746-998-0032-9. 9D’Autréaux, Benoît, and Michel B. Toledano. ROS as Signalling Molecules Mechanisms That Generate Specificity in ROS Homeostasis. Nature Reviews Molecular Cell Biology, Oct. 2007, doi:10.1038/nrm2256. 10Fang, Ferric C. Antimicrobial Reactive Oxygen and Nitrogen Species: Concepts and Controversies. Nature Reviews Microbiology, 1 Oct. 2004, doi:10.1038/nrmicro1004. 12Gwinn, Maureen R., and Val Vallyathan. Respiratory Burst: Role in Signal Transduction in Alveolar Macrophages. Journal of Toxicology and Environmental Health, 24 Feb. 2007, doi:10.1080/15287390500196081. 14Poljsak, Borut, et al. “Achieving the Balance between ROS and Antioxidants When to Use the Synthetic Antioxidants.” Oxidative Medicine and Cellular Longevity, 4 Feb. 2013, doi:10.1155/2013/956792. 19Schwarz, Kathleen B. “Oxidative Stress during Viral Infection: A Review.” Free Radical Biology and Medicine, 1996, doi:10.1016/0891-5849(96)00131-1. 21Ivanov, Alexander V., et al. Oxidative Stress in Infection and Consequent Disease. Oxidative Medicine and Cellular Longevity, Jan. 2017, doi:10.1155/2017/3496043. 22Ostos, Maria A, et al. Implication of Natural Killer T Cells in Atherosclerosis Development during a LPS-Induced Chronic Inflammation. FEBS Letters, 19 Apr. 2002, doi:10.1016/S0014-5793(02)02692-3. 25Izadi, Morteza et al. “Cytomegalovirus Localization in Atherosclerotic Plaques Is Associated with Acute Coronary Syndromes: Report of 105 Patients.” Methodist DeBakey Cardiovascular Journal 8.2 (2012): 42–46. Print. 29MV, Kalayoglu, et al. “Characterization of Low-Density Lipoprotein Uptake by Murine Macrophages Exposed to Chlamydia Pneumoniae.” Microbes and Infection, 1 May 1999, doi:10.1016/S1286-4579(99)80044-6. 30Carlquist, John F., et al. “Cytomegalovirus Stimulated MRNA Accumulation and Cell Surface Expression of the Oxidized LDL Scavenger Receptor, CD36.” Atherosclerosis, Nov. 2004, doi:10.1016/j.atherosclerosis.2004.07.010. 31Kalayoglu, Murat V., et al. “Cellular Oxidation of Low-Density Lipoprotein by Chlamydia Pneumoniae.” The Journal of Infectious Diseases, 1 Sept. 1999, doi:10.1086/314931. 32Isik, Birgul, et al. 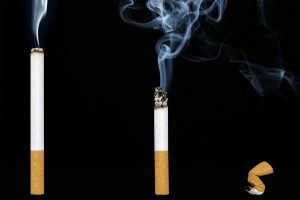 Oxidative Stress in Smokers and Non-Smokers. Inhalation Toxicology, 15 Nov. 2006, doi:10.1080/08958370701401418. 33Ozguner, Fehmi, et al. 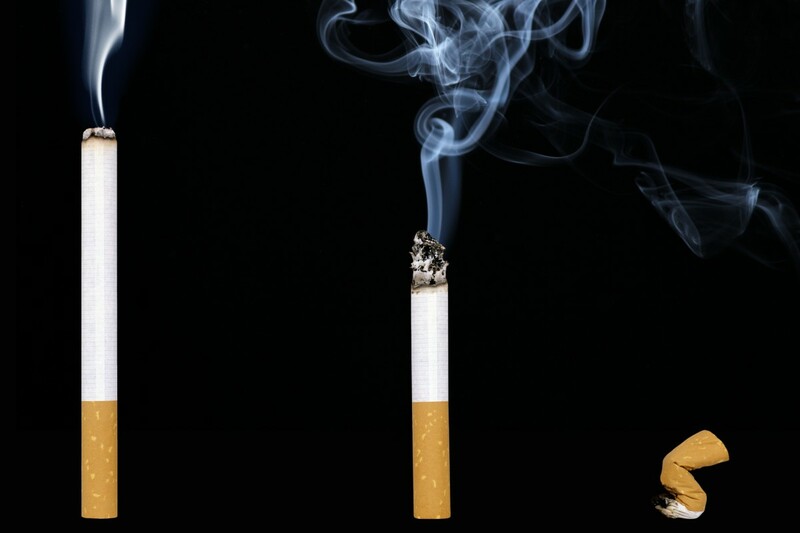 Active Smoking Causes Oxidative Stress and Decreases Blood Melatonin Levels. Toxicology and Industrial Health, 1 Nov. 2005, doi:10.1191/0748233705th211oa. 35Einor, D., et al. Onizing Radiation, Antioxidant Response and Oxidative Damage: A Meta-Analysis. Science of the Total Environment, 1 Apr. 2016, doi:10.1016/j.scitotenv.2016.01.027. 38Guay, Valérie, et al. Effect of Short-Term Low- and High-Fat Diets on Low-Density Lipoprotein Particle Size in Normolipidemic Subjects. Metabolism Clinical and Experimental, Jan. 2012, doi:10.1016/j.metabol.2011.06.002. 39Siri, Patty W., and Ronald M. Krauss. Influence of Dietary Carbohydrate and Fat on LDL and HDL Particle Distributions. Current Atherosclerosis Reports, Nov. 2005. 40Khovidhunkit, Weerapan, et al. “Infection and Inflammation-Induced Proatherogenic Changes of Lipoproteins.” The Journal of Infectious Diseases, 1 June 2000, doi:10.1086/315611. 41Aspichueta, Patricia, et al. Disrupted VLDL Features and Lipoprotein Metabolism in Sepsis. INTECH. 42Bartolomé, Nerea, et al. “Biphasic Adaptative Responses in VLDL Metabolism and Lipoprotein Homeostasis during Gram-Negative Endotoxemia.” Innate Immunity, 26 Nov. 2010, doi:10.1177/1753425910390722. 43Aspichueta, Patricia, et al. “Endotoxin Promotes Preferential Periportal Upregulation of VLDL Secretion in the Rat Liver.” Journal of Lipid Research, 4 Jan. 2005, doi:10.1194/jlr.M500003-JLR200. 45Grunfeld, Carl, and Kenneth R. Feingold. Tumor Necrosis Factor, Cytokines, and the Hyperlipidemia of Infection. Trends in Endocrinology & Metabolism, 1991, doi:10.1016/1043-2760(91)90027-K.
46Ivanova, Ekaterina A., et al. Small Dense Low-Density Lipoprotein as Biomarker for Atherosclerotic Diseases. Oxidative Medicine and Cellular Longevity, 2017, doi:10.1155/2017/1273042. 48Feingold, Kenneth R., and Carl Grunfeld. The Effect of Inflammation and Infection on Lipids and Lipoproteins. Endotext, 12 June 2015. 49Chait, Alan, et al. Susceptibility of Small, Dense, Low-Density Lipoproteins to Oxidative Modification in Subjects with the Atherogenic Lipoprotein Phenotype, Pattern B. The American Journal of Medicine, Apr. 1993, doi:10.1016/0002-9343(93)90144-E.
50Soran, Handrean, and Paul N. Durrington. Susceptibility of LDL and Its Subfractions to Glycation. Current Opinion in Lipidology, Aug. 2011, doi:10.1097/MOL.0b013e328348a43f. 51Ohmura, Hirotoshi, et al. Lipid Compositional Differences of Small, Dense Low-Density Lipoprotein Particle Influence Its Oxidative Susceptibility. Metabolism Clinical and Experimental, Sept. 2002, doi:10.1053/meta.2002.34695. 52Tribble, Diane L., et al. Greater Oxidative Susceptibility of the Surface Monolayer in Small Dense LDL May Contribute to Differences in Copper-Induced Oxidation among LDL Density Subfractions. Journal of Lipid Research, Apr. 1995. 54Younis, Nahla, et al. Glycation as an Atherogenic Modification of LDL. Current Opinion on Lipidology, Aug. 2008, doi:10.1097/MOL.0b013e328306a057. 55Lam, Michael C.W., et al. Glycoxidized Low-Density Lipoprotein Regulates the Expression of Scavenger Receptors in THP-1 Macrophages. Atherosclerosis, Dec. 2004, doi:10.1016/j.atherosclerosis.2004.08.003. 56Sobal, G., et al. Why Is Glycated LDL More Sensitive to Oxidation than Native LDL? A Comparative Study. PLEFA, Oct. 2000, doi:10.1054/plef.2000.0204. I am considering making a donation to support your research and I just wanted to know if your lovely government wants from you its cut of the money.My understanding is that rules aren’t very clear and that it depends on whether the recipient (you in this case) reports the donation as income,just to be on the safe side,or not. A third factor in LDL oxidation I can think of is lack of PON1 on ApoA1 lipoproteins; LDL can be protected (somehow) using this antioxidant enzyme system carried on HDL. So too much TG means more sdLDL and exposure to oxidants, but also less HDL, with PON1 being less available. Hi George – sorry for the late reply on this! I had actually come across PON1 before in my studies and then proceded to completely forget about it somehow. It seems to be downregulated (or there is less of it for other reasons) during an inflammatory response (or specific types of inflammatory response perhaps) but I am unsure why this would be. It is something I’ll have to look into for sure, as it appears to be yet another puzzle piece in the whole thing. Looks like you pasted a broken link. What article were you trying to share? Also, I meant that in addition to the sources identified in this post, modified lipids may come from external sources. Ah – thanks for the link. I’ll have to look further into it to see how exactly it works, that looks pretty interesting from the abstract! Siobhan. Thanks for such a well written explanation of plaque. This week I had a heart attack and received 5 stents. For the last 2.5 years I’ve been no sugar no grain, LCHF, keto. Lost 45 lbs in the first 8 months. Maintaied healthy weight since. I’ve always had high TC. Currently over 300. Lpa, alipoprotien B, hs-crp all great. First of the month I started working out harder than I ever had. 30 minutes of weight lifting, 1 hour treadmill targeting 70-79% max HR. I felt great!!! Sunday night with no prior symptoms, I was rushed to the ER. My blockages were 100, 95, 90, 90, 90. Calcium score 12 months ago was 67. I have been such a student of Dave, Ivor and yourself that I now know too much. The only thing my cardiologist says is we must lower your LDL with statin. Even statin injections! He knows little to nothing about the other test. I may be a candidate for statins but I’m strongly opposed. I’m 51 yo male ApoE 3,4 and have B particles. I’m just looking for a better understanding of why plaque ruptures. Does LCHF diet help or hurt at this point? What factors help stabilize plaque for the future? Any information or direction would be much appreciated. Of course, as always, I emphasize we’re not medical professionals and this doesn’t constitute medical advice. Moreover, I always encourage one to work with their doctor. Often it’s more about the process of finding a good doctor who understands your goals and is receptive to new information. I’m sorry to hear about your heart attack and subsequent stents placed. I hope you’re recovering okay. One of the difficult things about this problem is the progression is hard to track. We know it takes years (and usually decades) to develop plaque to the point of a full thrombosis. So it’s probably likely some significant portion was built up pre-keto. But how much was while on the diet? This isn’t easily known without tests that “bookend” it when you began. This is why I try to track what I can with both CIMT and CAC progression. For instance, if my CIMT began to go up at a higher rate of progression than would be typical for my age over the keto diet, then I’d consider that a data point against the diet. The same would go with CAC progression. But it will still be years before I can make these assessments (and if you follow me, you already know both of these are actually looking good — with the CIMT actually reducing). That’s why it can be frustrating for many when I say this, but the short answer is that we don’t know yet. Keto is charting very new territory. Yes, I feel my own research and experiments have given me a lot more confidence this is the right path for me and would likely reduce my all-cause mortality — but I don’t claim to be certain. Regardless, I know lower BP, weight, waist-to-hip, fasting glucose, lower TG, and higher HDL that I’ve gotten from keto are themselves risk-reducing for CVD, so for now, I’m cautiously optimistic. Thanks Dave. Hard coming to terms with the fact that I’m now a cardiac patient. Here in Arkansas, it’s so difficult finding any doc that understands the benefits of keto much less support it. I appreciate the information. Did you ever get a CAC score? If so, do you mind sharing it? Sorry I see that you included it. Wow Siobhan, you are super smart.! My brain addles to grasp this and try to apply it to my own situation. My numbers doubled in 6 months of keto. Joint pain is main symptom. I think my liver is not efficient – occasional inflammed gallbladder. Does this mean that dietary fat may be staying in circulation too long (therefore more chance of oxidation) due to poor cell-uptake and/or insults (infection/inflam?) and best to decrease dietary fat?until source of inflammation is addressed. Have gone back to lowish carb paleo but not really sure what I should be eating now. Dave said RC normally tracks with TG. not in my case. my mum also increased her numbers since going keto for last 3 months. High glucose still. Should she also stop Keto? Thanks for your great research! Hi Suzanne – thanks for the comment! Can you provide a little more information about your diet, and lifestyle at the time of each test (sleep, stress, what you were eating, sources of dietary fat)? Additionally, did you get any other testing done, like for markers of inflammation (like hs-CRP), etc? These can help provide a little more context. Is there a possibility that the results of that test could have been in error? Is it possible to retest just to verify the results? Dave is correct in that usually triglycerides and remnant cholesterol usually correlate pretty well from what I’ve seen so far. In your case – if the result is accurate – it actually looks like dietary fat is getting cleared rather efficiently (hence the low triglyceride level). I would be curious to see if a re-test got the same result as this most recent one. As for your mom, from what I’ve seen with other people sometimes it can take a little bit of tweaking and time. Is she tracking what she eats? Sometimes some “carb creep” can sneak in, especially from things like condiments or sauces, or other things could be causing issues like certain inflammatory foods like seed oils, poor sleep, or stress. It’s worth tracking (if she’s not already) just to make sure and see if you can pinpoint any obvious issues. Thanks so much Siobhan for your considered reply! I forget that this site doesn’t alert when a post has been replied to. Hence my delay. Sleep & stress weren’t brilliant as I do tend to be mentally fatigued often when working long hours on studies & some health clients. I think I may have not been eating enough fat and possibly slight calorie deficit at the time. I do a brisk 6.5-7km daily. some push-ups. I’m 49. and haven’t had a period since I started Keto last september. (tho it was erratic even then). Previously on Lowish Carb Paleo for a few years. No other inflammatory markers done. my ferritin/iron – a little low in range. GGT top of range.. CBC all good. I have neck issues and constant shoulder ache, worsens with computer work. could be source of some inflammation as it can get pretty uncomfortable quite often. I also had also had a gallbladder flare around a week before those last tests. I seem to fit the LMHR profile being 5’4″ and 112 lbs. Thanks again Siobhan! It is interesting that your Remnant Cholesterol is so high, despite the low triglycerides – normally they line up with each other pretty well. Perhaps there is something else going on there – I have heard of genetic variances that can cause decreased clearance of VLDL and chylomicron particles so perhaps it is something similar? The research in this area is still developing, so perhaps if you’re still concerned about it you could get some follow up tests with your doctor, or some genetic testing. If it were inflammation I’d expect that triglycerides would be higher – but they aren’t. If you ever do get follow ups and figure out what is going on with your RC please check back in and let us know! Thank-you! yes, I will check back and will most certainly be doing some more enquiry/testing! Hi Siobhan. I am currently writing my honours thesis on lipoprotein (a) (Lpa). I found you on YouTube. You are a big hero of mine in the lipid world. I love how you zoom out and right in again, and your use of analogies is so helpful. I had formed theories around modified LDL, and had speculated that LDL was oxidized prior to uptake. 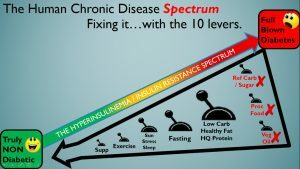 LDL is not creating damage (why would anything in the body be so silly, when you think of how intricate and tightly controlled its processes are) and certainly nothing is unintentional. I look upon LDL as the cheapest sacrifice the body could spare, and a handy one at that! All those areas on the LDL molecule to be fairly safely offered as a sacrifice to divert ROS from something more valuable (like tissue etc), plus it can be recycled (the body is wisely frugal;)). I was delighted to find that my theories weren’t far fetched, and that you had to come the same conclusions! Total joy! I have now completed a stack of intensive reading on the lipoprotein system, looking at healthy and also deranged processes. I am aiming to draw parallels from LDL to Lpa. I am somewhat confident that several concepts align. Like LDL, Lpa also has a bad rep, and is touted as a causitive factor for CVD in most of the conventional literature. However, like innocent and healthy LDL, Lpa also becomes oxidized (I am exploring the role of insulin resistance in this) and modified, meaning that it is also simply taking on a sacrificial role. It is filled with antioxidant, lipid soluble vitamins, it buffers ROS, and has a handy cholesterol care package to repair or renew cells. It is pumped out by the liver in times of need (surely no accident) and it seems that the body deems its plasminogen-like apo-a tail a major asset when securing plaque in the coronary artery- you wouldn’t want premature rupture before the endothelial wall had properly healed. Yet Lpa, like LDL is seen as broken and almost evil. I’m reaching out to you, as I know you have been looking into Lpa. Any theories? What do you think about my hypothesis that Lpa plays a natural and protective role? That Lpa takes a lot of heat, yet it doesn’t strike me as a driver of atherosclerosis. Rather, it is a ‘marker’ for a system in oxidative stress. Also, exactly what causes the oxidative stress? I am looking into IR, as I mentioned, but would highly value your input on any of these perplexing issues. I’m not precious about any of it either, if I’m off track then I’m cool with being told. As for your speculations – I obviously agree (as you can see by my articles) based off of the research I’ve come across so far. It is quite reassuring when you come across someone who has researched independently and come to the same conclusions. I felt the exact same way after going to Low Carb Breckenridge when Michael Eades recommended checking out Peter from Hyperlipid’s work during his presentation. Lo and behold, a whole ten years ago Peter had been talking about the functional role of Lp(a) in the repair system. I would suggest checking out his posts – they are certainly enlightening! As far as Lp(a) becoming oxidized, I think based off of the research I’ve seen, it is more that it takes up oxidized phospholipid from other lipoproteins like LDL. And in the blood, oxidized phospholipid/apoB as a ratio generally lines up with amount of Lp(a) in the system. So, from what I understand, when it is around it picks them up and possibly disposes of the damaged parts of the phospholipid shell but Peter (from the blog I linked) speculates it may also be used for other purposes as well. I have suspected for a while though that LDL is not only used as a sacrificial lamb during infection, but also during times of oxidative stress as you said though, and for the same reasons. Likewise, I don’t see it as any accident (especially as the evidence so far doesn’t make it appear as one) that Lipoprotein(a) acts as an acute phase reactant. I suspect that there is some use in either repair, or defense from injury (such as oxidation), even if that role hasn’t been entirely expanded upon yet. In fact, there’s one study in particular that talks about the use of Lipoprotein(a) in regards to wound healing (especially of the arteries). I would agree that Lp(a) is likely a marker of system-wide damage, and oxidative stress, its work as an acute phase reactant and as a carrier of oxPL seems to support that as well. I posted a comment somewhere on this site (seems to be several comments section) with concerns about my cholesterol going waaaay down, but, I am unable to find my post or any anticipated response. Is there a way to find a previous post easily? I’m not sure where to put this question so I am sorry if this is the wrong place. I recently had an NMR and found out that I have pattern B. My LP-a was good, as was C reactive protein and insulin, but ApoB was high, as well as small dense LDL and a couple other things. My total cholesterol was 266 I think, HDL 45, and LDL was 204. I was very, very shocked and concerned. I’ve been Keto for a year, and relatively low carb for 2 or 3 yrs before that. I saw a cardiologist and he was not really concerned about the pattern B numbers. He knew about keto and had done it for 9 months before. And he didn’t advise me to stop either. He did agree with my GP that I should take a statin. I didn’t want to, but decided not to fight it, because of my bad pattern B numbers. I don’t think the statin will improve those though. I was not expecting such bad results in the particle size and ApoB since I’d been keto for a year. Is there a way to significantly improve those numbers, and is it possible to go from pattern B to A? I am 55, good body weight, no known health issues, but I did have borderline A1C prior to going low-carb. Mother and both grandfathers were diabetic. Neither parent have or had heart problems. First thing to note is that generally apoB follows along with LDL-P, and to a point LDL-C.
LDL-C is the cholesterol carried inside the LDL-P, and there is one apoB on each LDL particle. So generally in metabolically healthy people if LDL-C is higher, LDL-P is higher, and apoB is higher. That’s exactly what I would expect. Your apoB may be elevated as a consequence of trafficking more fatty acids via LDL. What were your triglycerides from this test? From the research I’ve seen generally small LDL is predictive because it can occur in environments of hyperinsulinemia and insulin resistance. This would explain why higher levels are associated with CVD, and may imply it is acting as an additional marker for metabolic disturbance but may not necessarily be causal in and of itself. I think, like most, it’s a marker that is wise to take into context alongside the other markers you mentioned, and perhaps get some additional testing like a CIMT (testing artery thickness) and CAC (checking for calcification) to get more information. CAC may be elevated due years gone by, but if that’s the case progression over a year or two is helpful to clarify how your current diet (and lipid panel) is treating you. I’m not sure I’ve seen studies showing statins lower small LDL, either. To answer if you want to take statins it would likely be helpful for you to research into statins for primary prevention and see if you think they would be a good fit for you – David Diamond has done some research into that topic. Thank you for responding. My Triglycerides were 65 I think. About those other tests, I did bring those up, but he wasn’t really interested in them. He said he could do them, but didn’t think there was much to be gained. To be honest, I might not want to know anyway. I would guess there is plague, because I ate poorly until I was about 50, and those pattern B numbers may have been much worse before I went Keto. I guess if there was major blockage that would be good to know, for intervention, but he didn’t think there was a need for it. I feel great, no tightness or chest pain, no shortness of breath even. I moved recently and was doing heavy lifting and climbing stairs with no problem. Also, I am prone to anxiety, which I am working on reducing and I think those tests would just bring on more anxiety. Just wanted to add to my last post. My Triglycerides were 65.